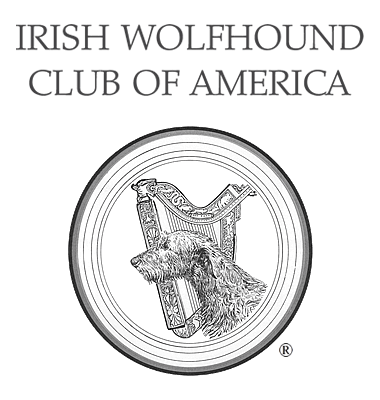 Eyes - Irish Wolfhound Club of America, Inc.
A cataract is opacity or loss of transparency of the lens. It may affect the entire structure of the lens or may be confined to a small area of the lens or capsule. Complete cataracts affecting both eyes results in blindness, and small non-progressive cataracts have minimal effect on vision. You may notice discoloration of your dog's pupil(s) or suspect your dog is having visual difficulties. A Board-certified veterinary ophthalmologist will be able to see the cataract with an ophthalmoscope. Corneal dystrophy is an abnormality that affects one or more layers of the cornea. Both eyes are usually affected. Chronic or recurring shallow ulcers may result. Epithelial dystrophy causes shallow painful erosions/ulcerations in the cornea, crystalline deposits, typically cholesterol, in the superficial layers of the cornea. These deposits usually do not cause problems. You may notice a white to grey opacity in one or both of your dog's eyes. Endothelial dystrophy is the result of a build-up of fluid in the cornea that clouds the transparent cornea and may decrease vision. Edema may cause the eye to appear blue. Recurring non-healing shallow corneal ulcers occur as well. Where eyelashes emerge from the ducts of glands within the area of the eyelid which does not normally produce hairs is a condition called distichiasis. Irritation may be caused by these "extra" eyelashes rubbing on the surface of the eye. The severity of the problem and the need for treatment vary. Some may have only a few abnormal hairs on a single eyelid, while others may have several distichia on all four eyelids. Although some dogs live their entire lives without being bothered by their distichia, others require medical or surgical treatment to alleviate the irritation. Signs that your dog may be bothered by distichiasis include squinting, rubbing at the eye, redness or discharge. Sometimes distichiasis can cause corneal ulcers or erosions where the hairs touch the surface of the eye. Also referred to as uveal cysts or iridociliary cysts these are often benign and require no treatment. Occasionally they may be large enough to interfere with vision or with the function of the eye. The cysts may be attached to various parts of the interior of one or both eyes, be lightly or darkly pigmented and are semitransparent with an ovoid or spherical shape. They may vary in size and there may be more than one. Only when they are large enough to impair vision or interfere with the normal functioning of the eye are they problematic. Glaucoma can be a complication associated with iridociliary cysts. Cysts may be congenital or acquired, the result of trauma to the eye or of uveitis (inflammation of the middle layer of the eye). Sometimes the cause is never known. In retinal dysplasia, there is abnormal development of the retina, present at birth. The disorder can be acquired as a result of a viral infection or another event before the pups were born. There are three forms of retinal dysplasia, folding, geographic and detached. The geographic and detached forms cause blindhess or some degree of visual impairment. At 3 to 4 weeks of age, the breeder may notice that severely affected pups are less active and frequently bump into objects. When the retina is mature, at 12 to 16 weeks of age, a veterinarian will be able to examine the eyes for this condition. In less severely affected puppies, or those with retinal folds only, no behavioral abnormalities are likely to be seen. This page was last updated 03/04/2019.